Oppo has added another new Android smartphone to its range, the Oppo Neo 5, and the handset will be launching in Malaysia next week and will retail for the equivalent of $190. 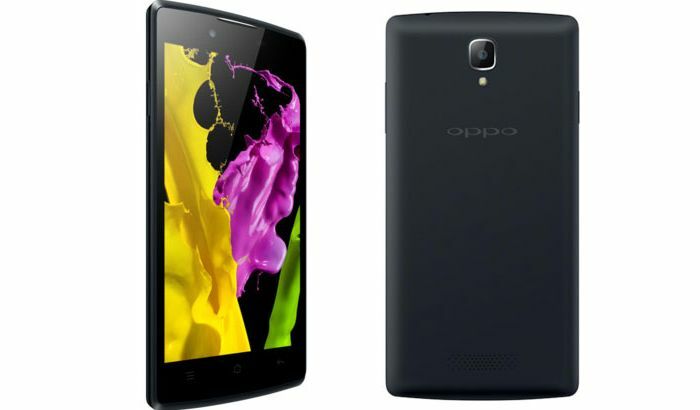 The Oppo Neo 5 comes with a 4.5 inch display that is equipped with a resolution of 854 x 480 pixels at 218 ppi, and the device is powered by a quad core processor. The handset features a quad core Qualcomm Snapdragon 400 processor clocked at 1.2GHz, it also comes with 1GB of RAM and 4GB of included storage. If you need more than 4GB of storage, the device is also equipped with a microSD card slot for expansion. The Oppo Neo 5 also comes with a 5 megapixel rear camera with a BSI sensor and a f/2.4 aperture, plus Android 4.3 Jelly Bean, and a 1900 mAh battery. Oppo will be launching the new Neo 5 in Malaysia next week, the handset will retail for RM598 which is around $190 at the current exchange rate. As yet there are no details on whether the Oppo Neo 5 will be headed to the U.S. and Europe, as soon as we get some more details, we will let you guys know.